A man who broke into a New Orleans preschool on Monday night did exactly what anyone would do in that particular situation -- he ate a snack and took a nap. The unidentified man climbed through an unlocked window of Clara's Little Lambs Preschool just after 11 p.m. on April 17, according to WGNO. 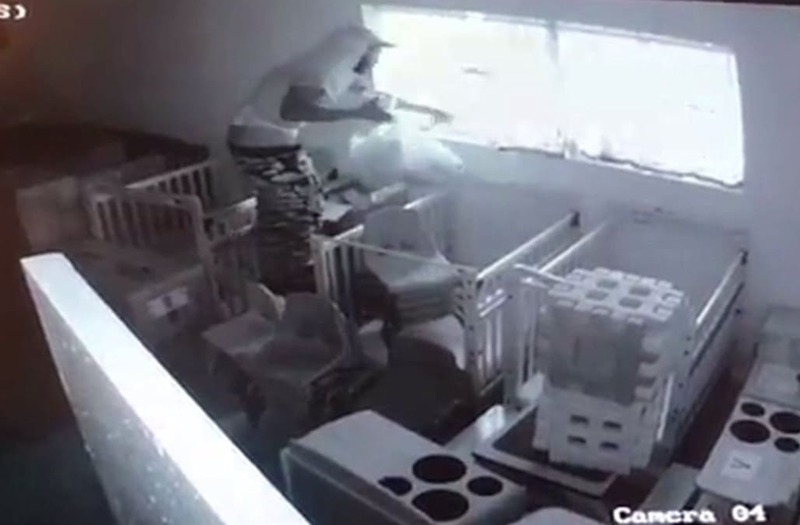 The sleepy perpetrator can be seen on surveillance video climbing over an empty crib and stacks of child-size chairs as he enters the business. He then wanders through the establishment, helping himself to food and drinks in the break room along the way. Following snack time, the burglar made himself a bed in one of the classrooms and went to sleep, according to the New Orleans Police Department. After waking up around 6:45 a.m., the man snuck out the unlocked window, taking two bags of stolen property with him.